Update: the new Virgin Atlantic Upper Class seat has been revealed, along with a change to the bar setup, and refreshed economy and premium economy cabins. Just a heads up that later today Virgin Atlantic will be revealing their new Upper Class seat. 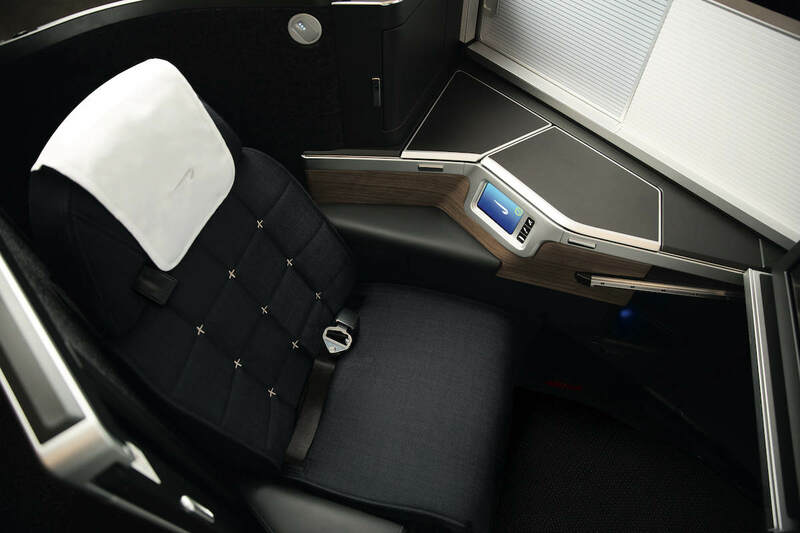 This is an exciting time for airline products in the UK, given that British Airways revealed their new Club Suite just a few weeks ago, and it’s a huge improvement over their current business class product. 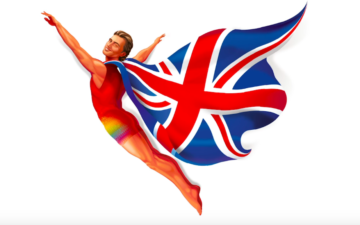 I don’t think many of us were expecting British Airways to introduce something truly great, so kudos to them. This seat will debut on the A350-1000 as of this summer. However, British Airways isn’t the only airline to be launching a new business class product this year. Virgin Atlantic is also launching a new business class this year as they take delivery of their first A350-1000. Now the spotlight is on them to see what they come up with. The reveal is expected to happen this evening UK time, so you can expect that the new product will probably be announced sometime around 12PM EDT. Prior to this we’ve seen a seatmap for the new cabin, showing that it will have 44 seats in a 1-2-1 configuration. It’s interesting to note that British Airways and Virgin Atlantic will have exactly the same number of seats between doors one and two on the A350-1000, so you can expect the seats to take up similar real estate. Both airlines have 44 seats in that area in a 1-2-1 configuration, though British Airways does have an additional cabin with another dozen seats. I don’t have any knowledge of what the new seat will be (I haven’t been given any embargoed information, or anything), but figured I might as well place my bet for what the seat will be. 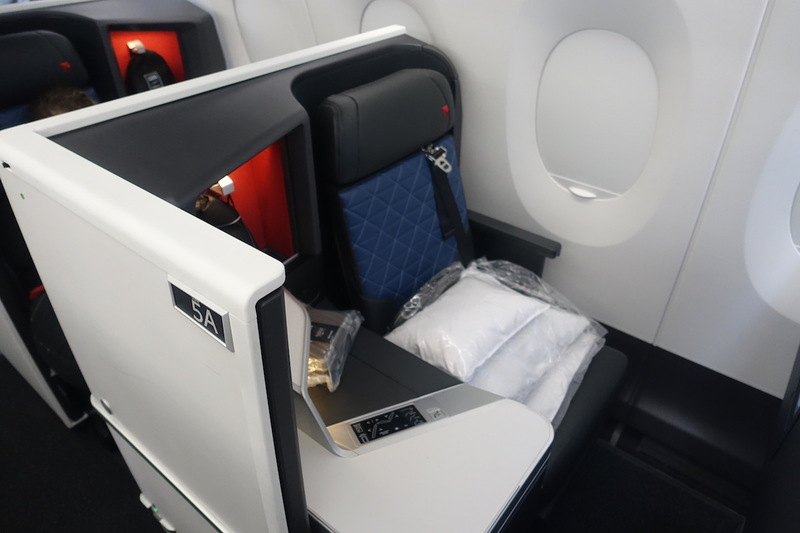 Since we successfully guessed the British Airways seat, my money is still on Virgin Atlantic introducing something very similar to the Delta One Suites, which are modified Vantage XL seats. Virgin Atlantic has 12 A350-1000s on order, and unfortunately as of now those are the only planes scheduled to get the new seats. 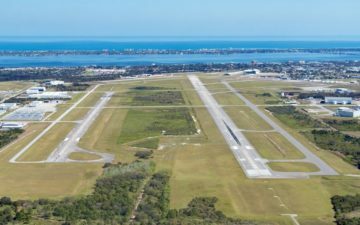 Plans haven’t yet been revealed to reconfigure existing aircraft. 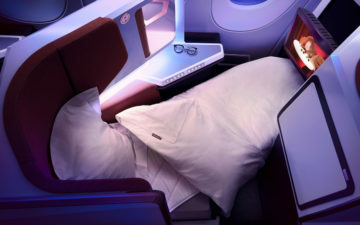 What kind of a business class seat do you think Virgin Atlantic will reveal this evening? If the new VA product didn’t have a door on it when BA announced 2 weeks ago, it wont have one now either. Airlines cant make changes that quickly. Yeah, Delta One Suite with different finishes is my guess. Fantastically good news that they’re not continuing with the stupid bar. That might persuade me to try them again – though it depends on the position and nature of the “lounge”. Telegraph article is intriguing (thanks, @Drew). It’s got “half a door”, apparently. There was an interview with the CEO which was very interesting. It said that they are planning on retrofitting the whole fleet but don’t have a timeline and are discussing new routes such as a second Beijing, Mumbai and Tokyo. AusBT says that VS will reconfigure the seats onto its existing fleet. But idk tho. I really wanna see what they are gonna do with this. Interestingly Cathay fits 46 seats in the same space but two of those are the hated “bathroom valet” seats. So British Airways is giving everyone a door and Virgin Atlantic is giving everyone a half-door? Meanwhile, Delta has “new” seats that feature doors that don’t fully close but also “new” seats on UK routes to Virgin Atlantic’s home base of LHR without doors. It’s also interesting that Virgin’s new seats on the A350 are only 20 inches wide whereas Delta has 24-inch wide seats on the A350. That’s A HUGE difference, especially for fat Americans and fat Britons. But crucially for upgrades, Virgin has 44 business-class seats and Delta only has 32. That means Delta frequent flyers will probably find it easier to use global upgrade certificates and mileage redemptions on Virgin Atlantic to get to the UK. I also don’t understand how Virgin Atlantic managed to fit 235 economy-class seats in the same 3x3x3 as Delta but Virgin’s economy seats have 34 inches of pitch and Delta’s economy seats only have 31-32 inches of pitch. I liked the bar concept and actually feel that’s what distinguishes Virgin Atlantic from others but I didn’t like the way it was setup in their a340/787. I much prefer the way Emirates does its bar on the A380 (bar is placed behind a divider after last row of business class.) For ultra-longhaul flights, having a bar is a lot of fun. I’m curious what the 8-seat lounge will be like and whether it will work. As for the seat itself, I think you’re right that it will be similar to the Delta suites but I’m quite excite to see what VS thinks is revolutionary. @ FNT Delta Diamond – i think the 34 inches is a bit misleading – i assume that refers to “Economy Delight”, which is only the first few rows of Y. Presumably everything behind that is 2 or 3 inches tighter. So I was thinking what “cool” Virgin Atlantic touches could be added to the DL seat, to make it feel a bit more innovative, more special, without a major change to the seat/space itself. 1) Wireless charge for mobile phone – with low enough power that there’s no heat risk… surely this will really help with all those announcements about removing charging cables and adapters… they could just turn it off centrally. 2) Bluetooth headset integration for the IFE – why isn’t anyone introducing this yet? 3) USB-C sockets – surely this is the future, why are we introducing new seats still with USB-A… it reminds me of how the airlines were still releasing the empower sockets ages after everyone threw out their kit. 4) Choose your own mood lighting – like you get in an high spec Audi or Mercedes (so I hear), so that you can cycle through a few colours for your own footwell, reading area, etc. Can totally see this on a VS plane. 6) Touch screen integration for the menus, wine, etc – why are we still handing out paper menus and having to make a manual choice? 7) The DL heavenly bedding is so much better than most other airlines I’ve flown with, so how can VS improve on this? Colours, I guess. Also I had the idea that you could issue gold (or some special colour) pillows and duvets/comforters for VS gold (or SkyTeam Elite Plus) members… too much hassle for the FAs? Maybe but it would be neat! Honestly had me laughing out loud. Even for an airline, that is a pretty bold statement. No one was forced to use the bar! I was on VS flights where I used it and on others I didn’t. “I don’t like the bar so I’m never flying that airline” must be one of the most ridiculous reasons not to fly on an airline. Perhaps Ben should compile a list! @ ChrisC — Depending on the aircraft, the bar configuration can be really disruptive to all passengers. I’ve had many sleepless TATL flights because of a very loud bar scene. What I particularly resent is that the drunken loudmouths who spend an overnight TATL flight shouting at each other at the bar (and preventing me sleeping) are almost invariably the same people who grabbed all the seats as far away from the bar as possible – leaving me having to listen to their vital argument about whose football team had the largest penises, or some such. If the Telegraph is to be believed, their new “lounge” seems to consist of a couple of benches at the entrance lobby, blocked off by bulkhead walls. That looks good to me. I think what’s happening tonight at 7pm (UK time) is just a teaser. Apparently it’ll be tomorrow before we get the full details. A door that only half closes sounds like an incredibly stupid idea, and I’m not sure how anyone could sign-off on that as a good decision. That said, I have a passionate hatred of the current VA Upper Class seat, so almost anything is an improvement on that. From the photos, the IFE screen looks small though. @Tiffany then get the Cabin Crew to tell them to be quiet.